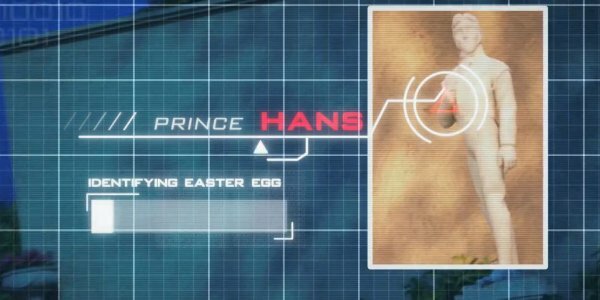 Easter eggs are a fun way to bridge universes, particularly in the animated genre. Pixar, for example, loves dropping Pizza Planet trucks (from the original Toy Story movie) into all of its features. And now Disney’s pointing out that threads of its smash hit Frozen made it into last year’s Big Hero 6, though you might have missed them if you blinked. Disney Movies Anywhere subscribers had access to the above clip, which is expected to be part of the Big Hero 6 Blu-ray and DVD combo pack (available on February 24). And in the clip, we see at least three mentions of Frozen items. One is very obvious: A stone statue of the deceptively evil Prince Hans. Thankfully, Baymax has a flying fist reserved for this wicked villain. The other two are much harder to identify without the aid of this clip. During Hiro and Baymax’s joyous flight over San Fransokyo, you apparently can spot an Olaf on the streets of the futuristic city. As you can see in the image, his weakness is heat, so keep him away from Fred, and get him to an icebox! 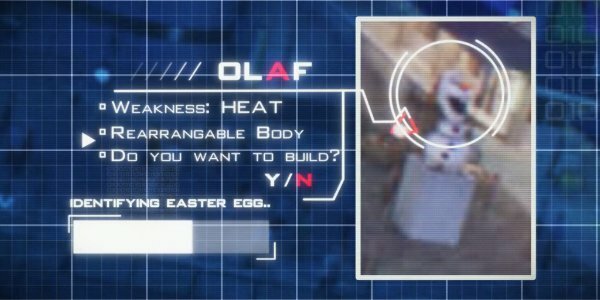 How did these Frozen artifacts land in Big Hero 6? 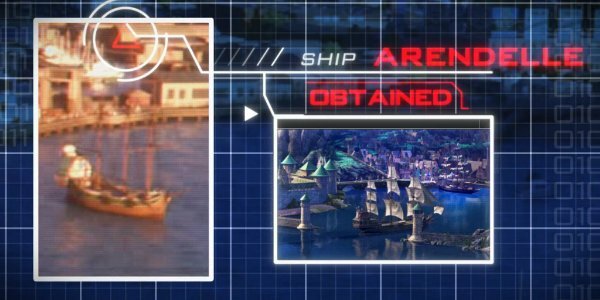 Apparently this ship, located in the San Fransokyo harbor, brought them over from Arendelle. The clip fades out, suggesting that there are even more pieces of Frozen to be found in Big Hero 6. In fact, Film Obsession found as many as 15 Disney references in the animated movie, from sketches of the filmmakers behind Tangled and Bolt to, of course, the Stan Lee cameo. How many more Disney and Marvel Easter Eggs can you find in the movie? It will be a lot easier when it arrives on DVD, so grab your copy, and start scouring the backgrounds!